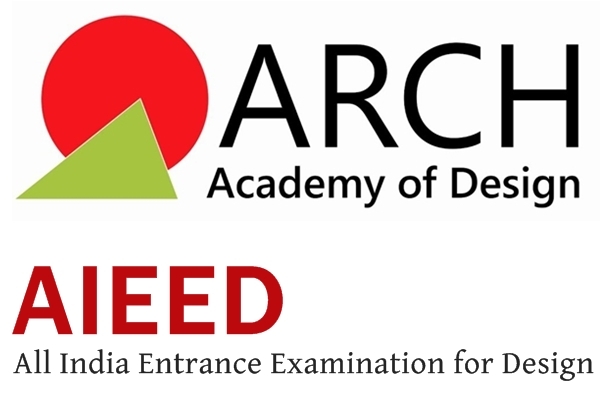 AIEED (All India Entrance Examination for Design) is a national level entrance test which is being conducted every year by Arch Academy of Design (ARCH) for taking admission into various under graduate and postgraduate programs in the field of design. The AIEED entrance exam is designed to test the knowledge, skill and aptitude of the candidates towards taking up a career in the field of Design. The AIEED entrance exam is conducted in two different modes namely online based entrance exam and centre based entrance exam. The Arch team constructed and conducted the first online entrance examination for design in India successfully. The candidates, whose forms have been accepted, will have to appear for the online entrance exam at the allotted time and date. The online exam was designed to facilitate students across the globe to appear for the exam using their personal computers or laptops with a choice of time slots on any of the given exam dates. AIEED online entrance examination will be conducted at over 200 Sify Iway examination centers in 50 cities all over India. The candidate can opt three centres (only 3), in order of their preference for examination centre. If the first or second choice of centre is not available or dropped for any reason, then they will be allotted the centre of your second or third choice, as per availability. The candidates whose forms have been accepted will have to appear for a written entrance examination at the Examination Centers opted for by them. AIEED centre based entrance exam is conducted in 7 centers which include Ahmadabad, Chennai, Delhi, Jaipur, Kolkata, Lucknow, and Mumbai. Candidates who have appeared for the final year Exam of their Bachelor's Degree or have completed Graduation in any stream. AIEED written test is designed to test the knowledge, skill and aptitude of the candidates for the program opted. The paper pattern of AIEED consists of objective type questions. The questions will be from the various topics such as General Awareness, Language Comprehension, Logical Reasoning, Psychological Analysis, Visual Understanding, Lateral Thinking, Skill Sets, Design Awareness and Thinking. The medium of instruction of the entrance exam is both in English and Hindi. Candidate can apply for AIEED through online line. Fill in all required information in the application form. Also clearly mark the preferred time slot and the date in the order of preference (3 choices only). The availability of the slots will be on a First-Come-First- Served basis. Affix a recent photograph of good quality in the space provided. Retain a photocopy of the filled in application form. Send attested photocopy of certificates in support of your educational qualifications. Send attested photocopy of relevant documents indicating date of birth. Send copies of experience certificate, wherever required. Send attested copy of school leaving certificate. Do not staple any other document/ certificate with the filled application form. Equivalence certificate from the concerned Embassy acknowledging the educational qualifications of the candidate. An attested copy of proof of status of NRI/ foreign national. Admit card of the eligible candidates will be emailed to them within 3 days of submission of online application form, to the email ID provided in their application form. The admit card would contain candidate's ID, appointment number and exam key. The appointment number and exam key are used by the candidate to log in at the time of the examination. Please keep these details ready and available with you before logging in. Candidates are require to affix their attested photograph (same as that affixed on the application form) on the downloaded admit card. The admit card is required to be produced during the online exam and also at the time of situation test. ID verification may include photographing, videotaping or other forms of electronics ID confirmations. If the candidate refused to comply with given instructions, they will not be permitted to appear for the test and the candidate will forfeit the test fee. They will also be required to produce a valid identification, for e.g : School leaving certificate, 10+2 mark sheet, driving license, passport, photo ATM/ Debit card, or any other valid photo identity proof. The candidates, whose forms have been accepted, will have to appear for the online entrance exam at the allotted time and date. ARCH reserves the right to cancel any of the Examination Centers mentioned. In such cases, administratively suitable and convenient alternate examination centers will be allotted. Request for change of Examination Centre will not be entertained once the form is submitted.